Ideally located on Hobarts waterfront admits the colour of Sullivans Cove and historic Battery Point and just a stones throw away from fashionable Salamanca Place and city centre. The stately National Trust mansion was built in 1874 whilst the accommodation wing, adjacent to the mansion provides a welcoming combination of traditional elegance and modern facilities. 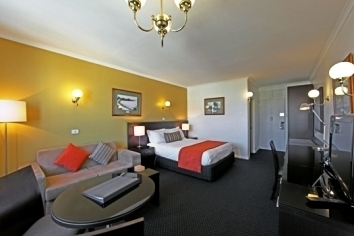 Lenna of Hobarts guest rooms have all been recently refurbished as we continue our commitment to remain one of the leading 4 star AAA rated hotels in Hobart. The guest accommodation wing comprises fifty spacious ensuite hotel rooms offering well-appointed living and superior comfort facilities. Being in such a prized location affords Lenna of Hobart with some magnificent views from the guest accommodation including spectacular Mount Wellington, Hobarts beautiful harbour and Derwent River and historic Princes Park. Lenna of Hobart is also very proud to be able to offer Alexanders Restaurant. Alexanders provides a modern Australian menu featuring some of Tasmanias amazing produce and complimented by an extensive wine list featuring Tasmanian wines. Lenna of Hobart also offers function rooms for meetings, dinners, presentations, cocktail parties etc. 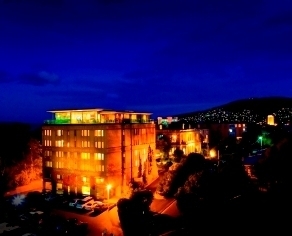 Lenna of Hobart also offers a variety of self contained apartments just across the road and Salamanca Terraces. Ideally situated on Salamanca Place, adjacent to Hobarts picturesque waterfront and historic Battery Point Salamanca Terraces offer the complete cultural and heritage experience. 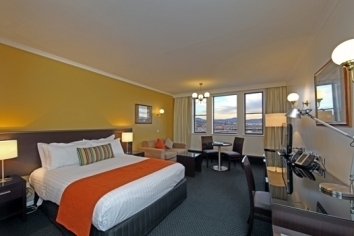 Double or Twin room with city views to Hobart's majestic and moody Mt Wellington with opening windows, Queen size bed, Personal mini-bar, Tea/Coffee facilities, Free Digital Austar TV, High Speed Broadband Internet, In room-safe, Private en-suite with full size bath/shower, 24 hour Room Service and Valet Service, Free on site parking. Displayed rate is for 2 guests using existing bedding. Please indicate if you require Twin beds in your online booking notes. Lenna of Hobart offers complimentary wifi both in room and in public areas. We also have a PC with internet access and a printer in the guest lounge. Fax & photocopying is available at reception. Lenna of Hobart also offers function rooms for meetings, dinners, presentations, cocktail parties etc. We are happy for you to leave your car in the car park should you arrive early. We can also store luggage. Extra adults and children 3 years and over are $55.00 extra per person per night. Children under 3 years using cots stay free. Free on site car parking is available to all guests. Taxi and airport coach transfers will bring you right to Lenna's front door are available off all flights into Hobart Airport. If coming from the airport, take the A3 (Tasman Highway) into Hobart. This highway then becomes Davey Street, turn left off Davey Street onto Salamanca Place, follow Salamanca Place all the way along, past the old warehouse buildings and up the hill. Turn right onto Runnymede Street, you will see Lenna of Hobart on your left. 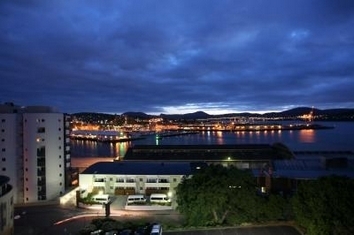 It is approximately 20 minutes drive to the centre of Hobart and Lenna from the Hobart Airport. **Please note Salamanca Market operates each Saturday causing the closure of Salamanca Place. Please turn left at Murray st and following the Esplanade around to your right and then onto Salamanca Place & Runnymede st.
Lenna of Hobarts location is ideal for walks and touring. Take a leisurely stroll through historical Battery Point Village, visit the popular Salamanca Place and world famous market (Saturdays only), meander around the waterfront and Constitution Dock or cruise the Derwent River on one of the many harbour ferries. Day trips to surrounding key visitor attractions include MONA, Mount Wellington, Historic Richmond, Port Arthur, Tahune Air Walk, and the many southern winery and vineyard tours.